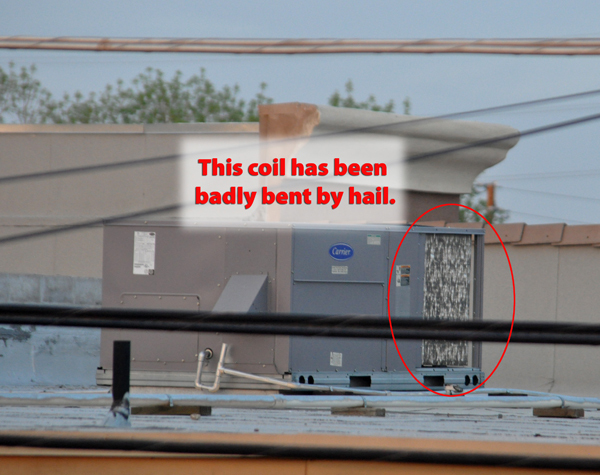 How can I tell if my AC was damaged by hail? Well, if you were in Phoenix when the massive hail storm hit last October you’ve probably seen the type of damage that it caused. If you aren’t quite sure if your air conditioner was damaged in the storm our best recommendation is to contact your insurance carrier and schedule an inspection. 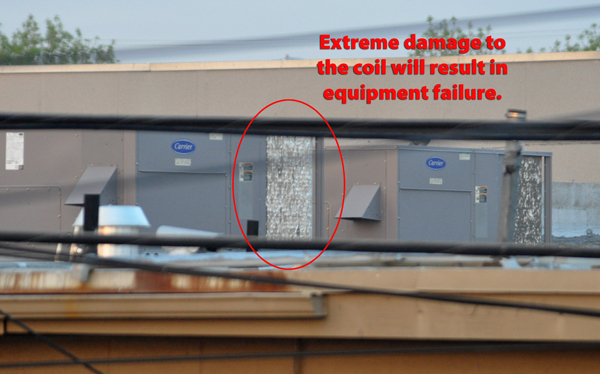 If you are able to see your AC unit, or if you are able to get onto your roof, the clearest indication of damage is the condition of your coil. If it looks as though the coil has been badly bent, there is a large possibility that you could have problems in the summer. Driving around the valley, it is apparent that there are still many home and business owners that have severe damage to their equipment. If you have contacted your insurance company and have a claim contact Urgent Air.